Browse > Home / FAQs / What’s the Weather and Water Temperature Like in Todos Santos? Todos Santos has a pleasant, temperate climate at least nine months of the year. The weather in Todos Santos is strongly affected by the Pacific Ocean currents, producing seasonal variations that are somewhat unexpected. Due to Todos Santos’ location on the Pacific Ocean, it is almost always 10 degrees cooler than in La Paz or Cabo San Lucas. To save surfers the suspence, all of this translates to bringing your fullsuit from March through June. Nights are cool during the months of December through February and the days warm, with average temperatures range from the high 40s to high 70s. Days slowly start to cool in March due to the influence of the Pacific Ocean. From April through June the temperature of the ocean drops to its minimum, while it will be at its warmest from July through November. As such, April, May and June can be chillier outside than January, February and March, because the Ocean currents produces neblina, or morning fogs. 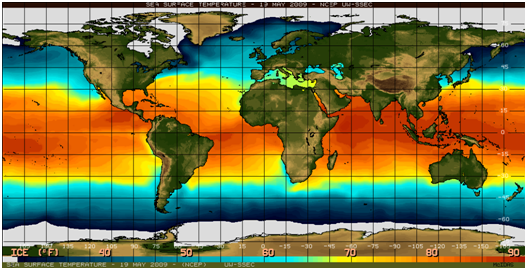 The ocean temperature is at its lowest then and at its highest from July through November. From the beginning of July the temperature in Todos Santos climbs, to anywhere between 90F and 100F and, at night, will not drop below the mid 70sF for the remainder of the summer. August, September and October are chubasco (quick precipitation) months. The average rainfall is 22 inches with most falling in September. Hurricanes typically don’t hit Todos Santos directly, but are common off the coast during the most humid and hottest months of August, September and early-October. The hurricanes and tropical storms spin up from the south and sometimes hit land instead of whirling out into the Pacific Ocean (however, most storms that hit Cabo typically divert over the ocean). These are usually hot and humid months during which many local gringos head north to escape the heat and visit their families. Late October to February are the peak season in Todos Santos, due to the nearly perfect climate. Although Todos Santos does not have a typical northern summer-winter climate, this does not mean that is has no distinct seasons. A mere temperature table cannot give a true picture of them. The level of moisture in the air, the presence or absence of insects and greenery, and the pervading fragrances, sounds and sights all powerfully affect one’s perception of temperature. Reliable long-term weather data is nonexistent in many instances, and inconsistent or inaccurate in others. Records have improved in recent years, as Cabo San Lucas and San Jose del Cabo have blossomed on tourist and political maps.